Melt butter over high heat until bubbly; add garlic and red pepper flakes. Rapidly add vodka and simmer for 2 minutes. Simmer tomatoes with the 2 cheeses for 2 minutes, then add cream; simmer for 1 minute. Prepare pasta Rigatoni, mix completely with the sauce, and serve immediately. A great addition would be to add sauteed chicken or cooked mushrooms to the sauce and hot peppers. Pasta in a vodka sauce is one of my favorties. Great job with this recipe. Rachel Ray won me over on vodka sauce with a recipe a long time ago, and I think I o.d-ed on it for a bit. Your recipe makes me want to bring it back again, finally! How strange as it may sound, I never tried pasta with vodka sauce, and yes heavy it's ok once in a while! Looks like a very flavorful comforting meal! I have yet to make a vodka sauce. you have inspired me! Only you can arouse cravings of Vodka Sauce Penne at 8:15 am in the morning. Delicious! Que Rico! I knew there must be some reason that vodka sauce is always so good at trattorias. Now I know-rich & delicious! Vodka sauce is one of my favorites but you're right about it being only an occasional splurge. I would love to try your version! love this sauce but have not make it in a while, will certainly try your version, sounds wonderful...are you back yet??? I love a rich and decadent sauce like this! Insanely delicious! I love the pasta with vodka sauce. This looks so yummy to me! Every time I'm in San Fransisco I go to this little Italian place by the Marina district and order their penne Romanov. Which is a great vodka sauce and it always makes me smile. So did this recipe. 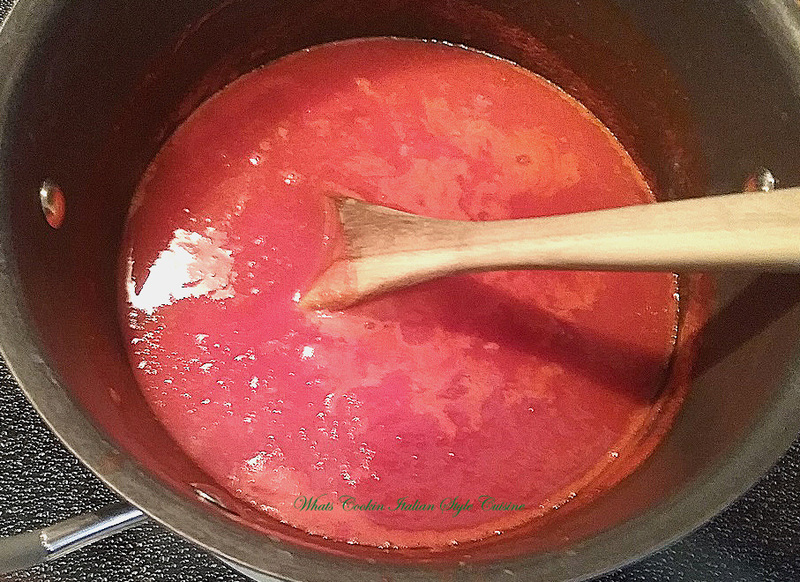 I just love vodka sauce and I definitely need to make it more often. Perfect comfort food! Looks like a great dish Claudia! I love making this dish for company or for parties. It's always a huge hit for everyone! I've purchased vodka sauce and loved it. I'd much rather make my own. You've inspired me to give it a try! Very decadent indeed. I think this will be my next pasta dish! One of my favorite sauces! I really should make it at home, but then I might end up indulging too often!